This was another quiet week at Kathy's house. I received three new books. You'd think I would be able to read down some of the books already on my stack but school started this week. I have been coming home and napping and then going to bed before 10 PM. That doesn't leave much reading time. I received one book for review from Spencer Hill Press. 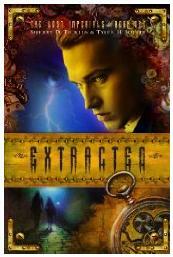 Extracted by Sherry Ficklin and Tyler Jolley sounds like a nice time travel story. It is also the starting book in a series. 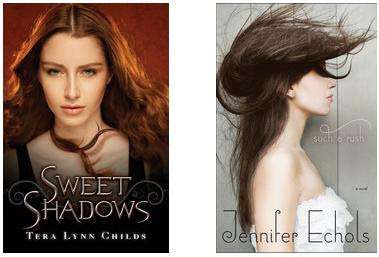 I bought Sweet Shadows by Tera Lynn Childs which is the second book in the Medusa Girls trilogy. I was waiting for the paperback and it was just released. I bought Such a Rush by Jennifer Echols for my Kindle because it was a daily deal on Saturday. I thought the story sounded interesting and the price was certainly right. That's it for me. 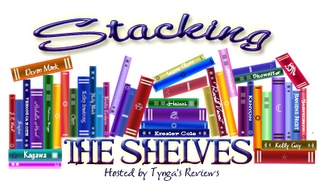 What did you add to your stack this week? Nice! I need to read Tera's series! I have books 1 and 3 still! Great haul I want to try Jennifer Echols. Happy reading. Thanks for stopping by mine. I hope you get more reading time once you've settled into the rhythm of school again! I am very interested in Tera's series also! I haven't had much luck with Jennifer Echols, but I've heard this one is a good one!